Considering guests’ wellbeing in everything it does, 1 Hotels mindfully creates a healthy, service-focused environment. The daily operation of the hotel has been carefully orchestrated to minimize its footprint by leveraging local resources, conserving non-renewable resources, mitigating paper consumption and reducing landfill waste. As a luxury lifestyle hotel brand inspired by nature, 1 Hotels cultivates the best of eco-conscious design and sustainable architecture, together with extraordinary comfort and an unrivaled level of service. 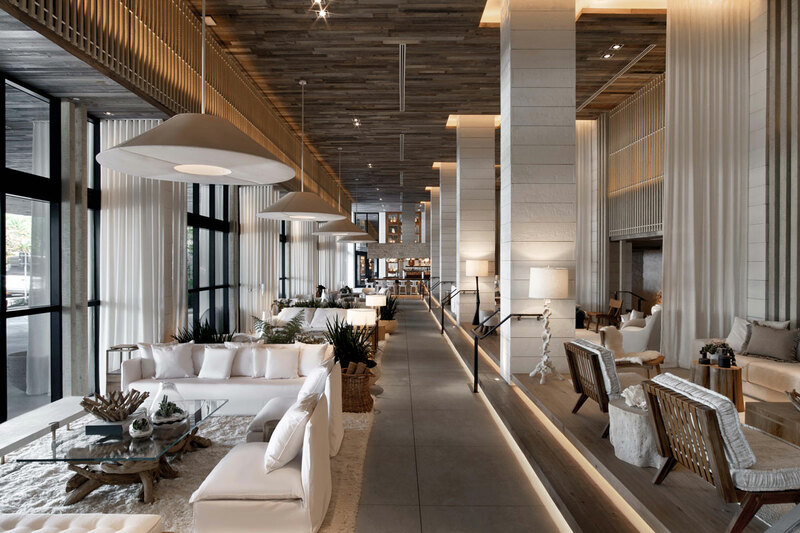 1 Hotels, which launched in 2015 with the opening of exclusive properties in Miami’s South Beach and Manhattan’s Central Park and is followed by Brooklyn Bridge, is inspired by a simple idea: those that travel the world also care about it. 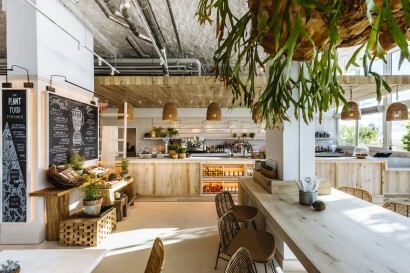 1 Hotels upholds this vision by channeling nature through design and culinary partnerships, while connecting with the local community and taking sustainable steps to make a big difference. Additional information can be found at www.1hotels.com. Recently debuted in late 2016/early 2017, Spartan Gym, Bamford Haybarn Spa and Matthew Kenney’s newest restaurant concept, plnthouseare the most recent additions to 1 Hotel South Beach. Raising the bar for social responsibility as first in the 1 Hotels collection, this 425-room hotelboasts four pools, sevenfood and beverageoutlets and endlesseco-consciousactivitiesencouragingtravelers to live well, do better and connectwith the world aroundthem. 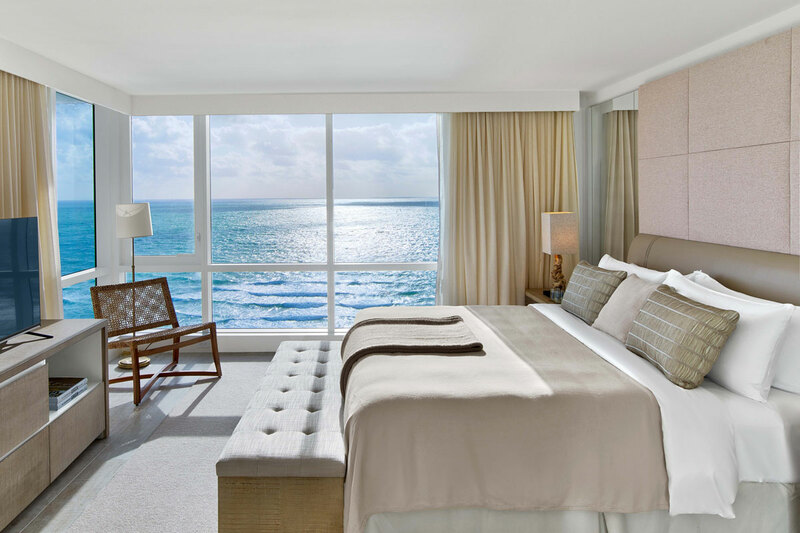 Miami Beach, specifically “Mid-Beach.” Occupying an entire city block on the famed Collins Avenue, 1 Hotel South Beachsits directly on 600 feet of pristine beachfront. 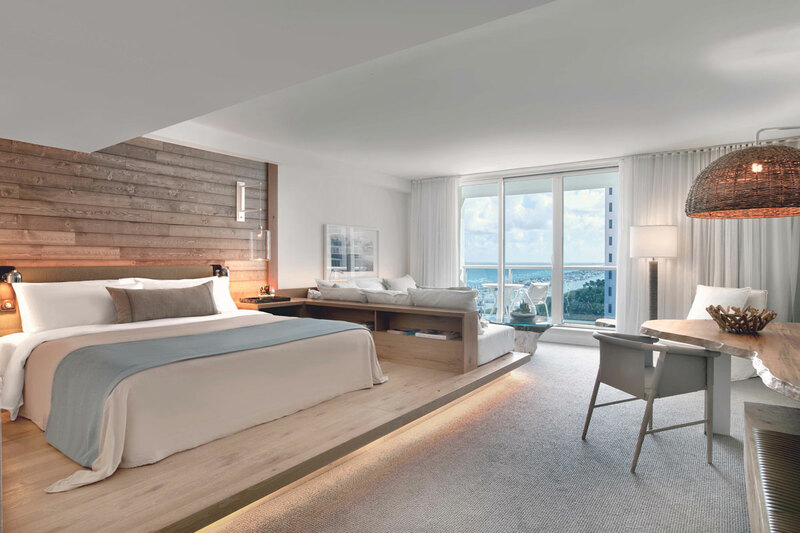 The first hotel to debut in the 1 Hotels brand, 1 South Beach, offers unparalleled views of the Atlantic Ocean, Biscayne Bay and Downtown Miami’s ever-expanding skyline. 1 Hotel South Beach is located in the heart of Miami Beach. Surrounded by Miami’s best shopping and nightlife, the property is just a 5-minute drive from Lincoln Road, Ocean Drive, Miami Beach Botanical Garden, Bass Museum of Art and the New World Center. Miami-based design firm Plant the Future has created green “moments” thatact as living art exhibits. Living green walls on the hotel’s façade and main lobby greet guests as they arrive. Additionally, terrariums are located in every guest room, and a gallery is located in the lobby showcasing seasonal displays. A variety of local flora and fauna provide lush landscaping throughout the property, including a grotto garden in the lobby. For 1 Hotels, dogs are family too. 1 Hotel South Beach offers extensive pet amenity services for dogs up to 40 pounds. The hotel provides pets with a welcome amenity, a dog-friendly concierge team, dog beds and bowls for furry guests looking to unwind. Catering to all of 1 Hotels’ youngest and most VIP customers, 1 Hotels’ Seedlings program focuses on bringing children closer to nature while educating them on the world we live in and the importance of taking care of it now. 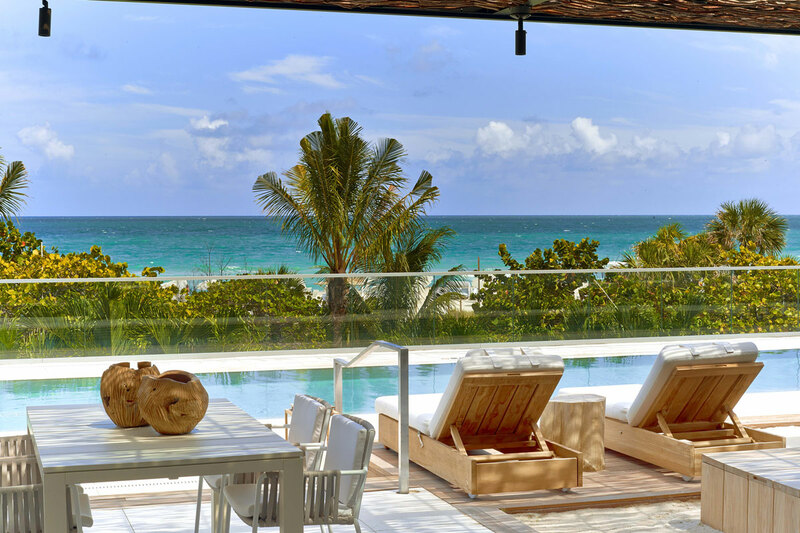 Available only at 1 South Beach is Basecamp – an on-site kids club for children ages 4 – 12. Basecamp providing programming, babysitting, and culinary experiences for the property’s youngest guests. Daily activities include nature walks, seashell art, cooking programs, planting activities and many other rotating educational activities. Basecamp is open dailyfrom 9 a.m. – 5 p.m., with an extension of 6 p.m. – 10 p.m. on weekends. Making his Miami debut, James-Beard award winning chef, Chef Tom Colicchio brings his farm-to-table style to this indoor/outdoor restaurant featuring ingredients from local Florida farms and fisherman and seasonal menus. Open for breakfast, lunch, dinner and Sunday brunch, the restaurant features an open kitchen format, private dining room, and semi-private mezzanine dining and bar area. The lobby lounge and bar offers a well-curatedselection of local beer, wine-on-tap and craftedseasonal cocktails alongwithsmall plates. Located on the 1 Rooftop, Watr specializes in poke and Japanese-inspired cuisine executed by Executive Chef Fernando Cruz and Chef de Cuisine Catalina Ucros. Helmed by famed plant-based chef Matthew Kenney, plnthouse islocated on the second floor of the 1 Hotel, and features table service and a full bar program, as well as a grab-and-go component. The 105-seat restaurant is evenly distributed between an indoor dining room and an outdoor deck withun obstructed ocean views. 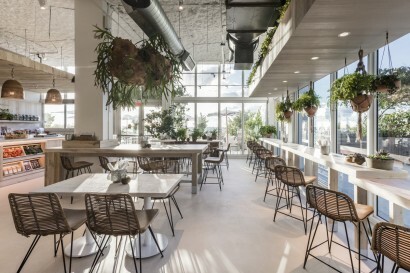 Matthew Kenney’s plnthouse is the hotel’s first plant-based offering and Kenney’s focus on locally sourced, sustainable ingredientsis in sync with the hotel’s larger dining program. Recently debuted in December 2016 as the first of its kind in the United States, Spartan Gym boasts 14,000-square feet of space designed with state-of the-art equipment. This unprecedented partnership offers education from local, certified Spartan trainers dedicated to helping those of all fitness levels achieve strength and endurance. Spartan Gym caters to travelers looking to not only stay in fitness routines while on the road, but offer them access to trainers, equipment, and targeted technique classes exclusively available at the property. 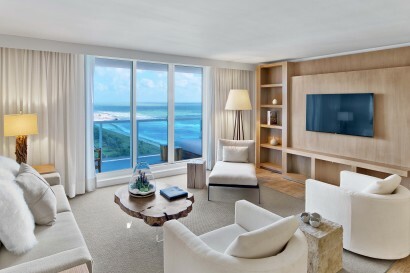 Available to hotel guests and residents of 1 Hotel & Homes South Beach, the gym divides itself by Spartan’s core areas of fitness: athleticism, strength, endurance and mind. Each of these rooms are surrounded by a central area which will feature obstacle-inspired offerings including overhead ropes, nets, and pipes for traditional Spartan course training. 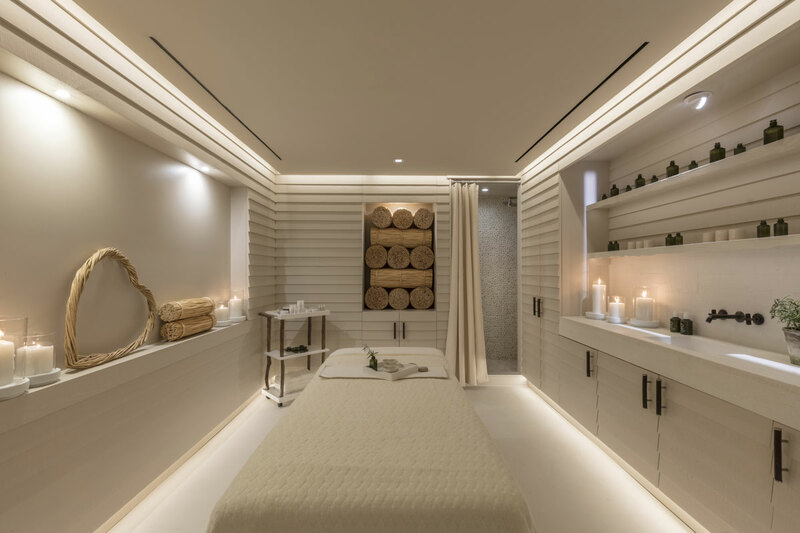 At 4,500-square-feet in size, BamfordHaybarn Spa is the first one to exist in the United States. The spa isrooted in a strong commitment to caring for the mind, body and spirit, based around a heart fel tconnection with nature, to provide a calming spa retreat for guests and locals looking to nurture themselves through specialty treatments, including massages and facials, as well as yoga, Pilates and meditation. 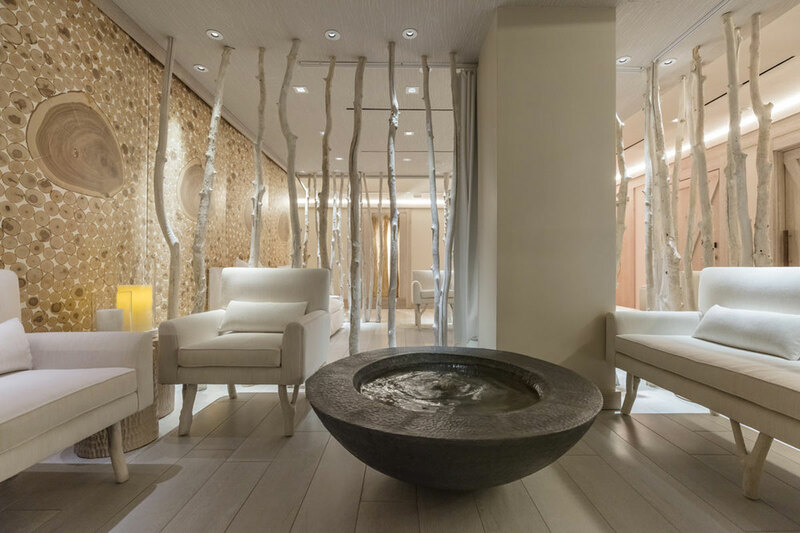 Bamford also uses their organic and botanical ingredients in an array of luxury spa treatments and products. 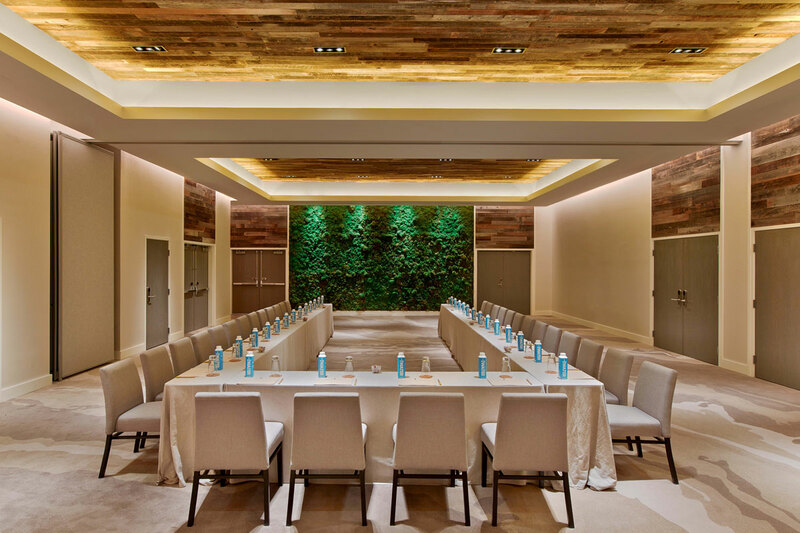 • Ideal for groups and events of any size, the property also features more than 100,000 square feet of indoor and outdoor meeting and event space and 14 tech-savvy meeting rooms. 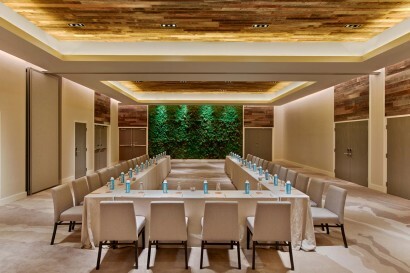 Included in thisis a 6,500-square-foot ballroom that can accommodate up to 500 people. • Boasting the largest rooftop pool in South Beach, the 26,000-square-foot adult-only1 Rooftop features a 110-foot-long ocean view swimming pool along with rooftop restaurant and lounge, watr. The property has three additional distinctive swimming pools throughout the property – Center Pool, Cabana Pool and South Pool. A total of 57 cabanas and daybeds can be found throughout the property’s pools, ranging from intimate two-person day beds to the rooftop living room cabana for up to 20. 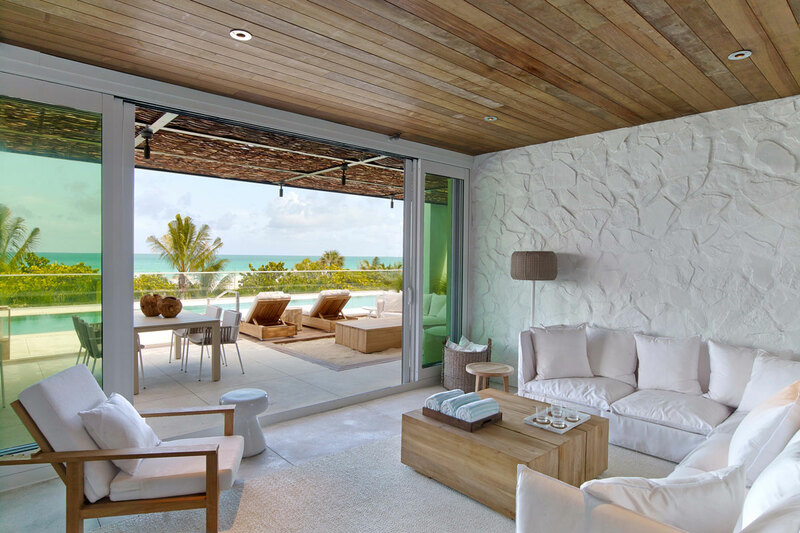 •Guests can choose to enjoy an array of experiences and rituals throughout all 1 Hotels’ properties designed to celebrate art in nature and natural ingredients. 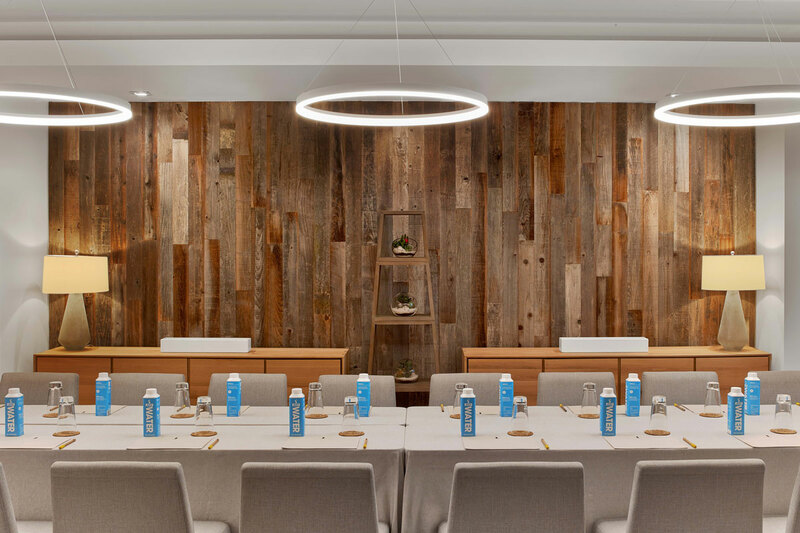 These activities range from DarkSky, a monthly event where the light’s in the hotels’ public spaces dim for a candle lite vening, to the Lobby Farm stand that features seasonal offerings from local farmers and purvey or scomplimentary to guests of the hotel.